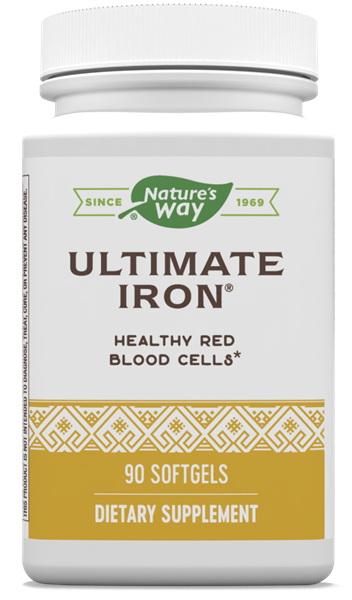 Ultimate Iron® / 90 softgels - Nature's Way®. Why take an iron supplement? Take 2 softgels daily with food. If pregnant, nursing or taking any medications, consult a healthcare professional before use. Can Ultimate Iron® and a calcium supplement be taken at the same time? Research has shown that calcium can interfere with the absorption of iron. Therefore, we recommend taking Ultimate Iron® and the calcium supplement at different times of the day, at least two hours apart.